100% Natural Hemp Cord: Natural. Hemp is biodegradable and an Earth-friendly alternative to other synthetic cording for jewelry, crafts, scrapbooking, fashions and more. This package contains 1 card of 170 feet of 10lb hemp. Hemp Natural Jewelry Cord by Darice - Brights, 10lb. Darice Hemp Cord is ideal for jewelry making and other crafts. Plus, it's earth-friendly, biodegradable, and 100% natural. Card contains 170FT of four 42.5FT lengths of 10lb cord, including one each of Turquoise, Orange, Lime Green, and Natural. Hemp Natural Jewelry Cord by Darice - Primary, 20lb. 100% Natural Hemp Cord: Primary. Hemp is biodegradable and an Earth-friendly alternative to other synthetic cording for jewelry, crafts, scrapbooking, fashions and more. This package contains 1 card of 120 feet of 20lb hemp: 30ft each of 4 colors: black, green, red and natural. 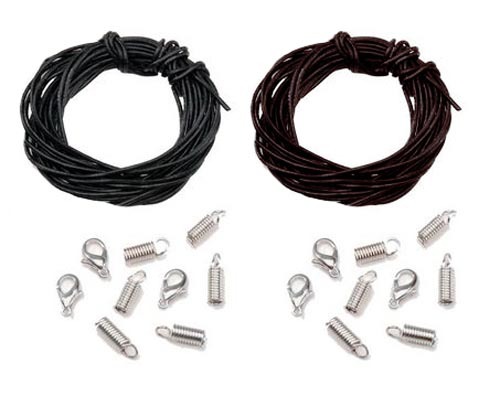 Necklace kit with 2mm cord and silver findings. In your choice of black and dark brown. Please select option for Leather Necklace Kit by Darice. Working with Hemp Jewelry Craft Project Book from Darice. 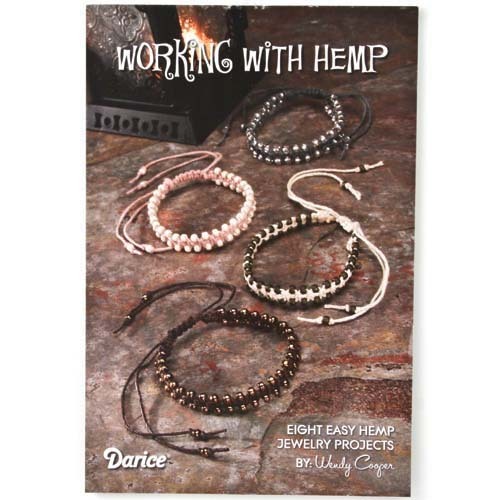 Learn to make bracelets, necklaces, and more with the Working with Hemp project book by Darice®. Each project book includes easy to follow instructions for making 8 hemp jewelry projects and is great for all skill levels.